"They've (A&M) been saying that now is the time to do a greatest hits. I actually resisted it, because in a way I was thinking, 'Well, is this capitulating Shouldn't I really just do another album' Then I thought about it, and thought about the 10-year landmark." "The version of We'll Be Together with Brian Loren seemed right at the time, so we shelved the Eric Clapton version. And listening back to it now, I think I like [the Clapton) version much better. For Fortress Around Your Heart, people with better ears than I have said that, sonically, it can be better. I mean, I don't have those kinds of ears - I only hear what I want to hear." "These were songs that weren't huge hits, but were very successful in the longer term, and became almost standards in my repertoire. I didn't want to do an album just of the hits. I wanted it to reflect more than that, to reflect my whole 10 years." 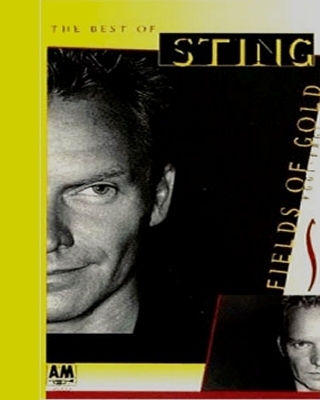 Celebrating Sting's 10 years as a solo artist this collection of promotional videos for 17 of his best known songs is an excellent collection. Released to coincide with the album of the same name, we believe the track listing doesn't any of the various album's exactly - for example, the in-concert version of 'Bring On The Night' complete with contemporary album artwork animation is a strange choice, as this song has it roots firmly in the days of the Police (indeed some might argue Last Exit!). Nevertheless the collection is a good one - personally we'd have preferred to see the video for 'The Soul Cages' single included but you can't have everything. Another strange omission is 'Mad About You', especially as this song remains a concert favourite to this day. Bookended by two new songs at the time - 'When We Dance' and 'This Cowboy Song' (the latter a fun piece shot in Almer? ?a, home of the spaghetti western) - the video also includes two seldom seen videos as far as the UK is concerned. These are the atmospheric black and white videos for 'Be Still My Beating Heart' and 'Why Should I Cry For You' Both of these are excellent, and quite similar in ways - for example the way the videos cut to show written song lyrics. A very good collection.